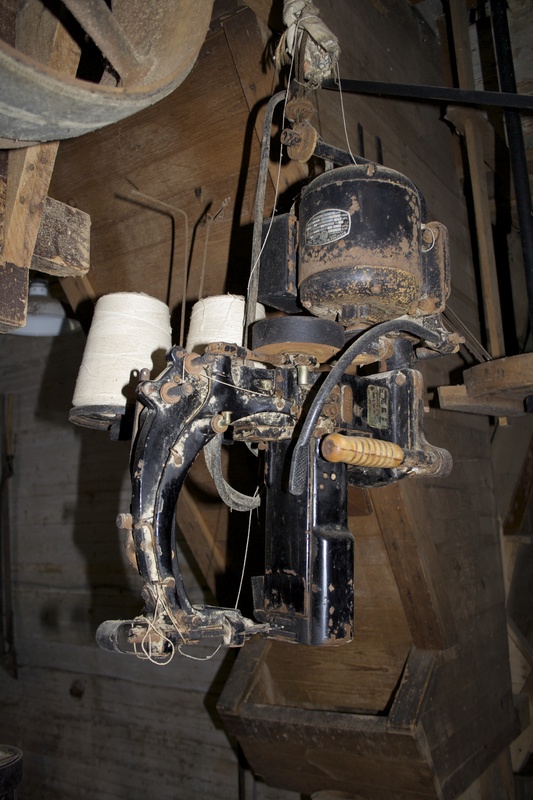 The feed sack sewing machine is part of the first floor museum. I have had people ask me what a feed bag sewer (as in sanitary sewer) is. We are talking about the machine that sews the bags closed. 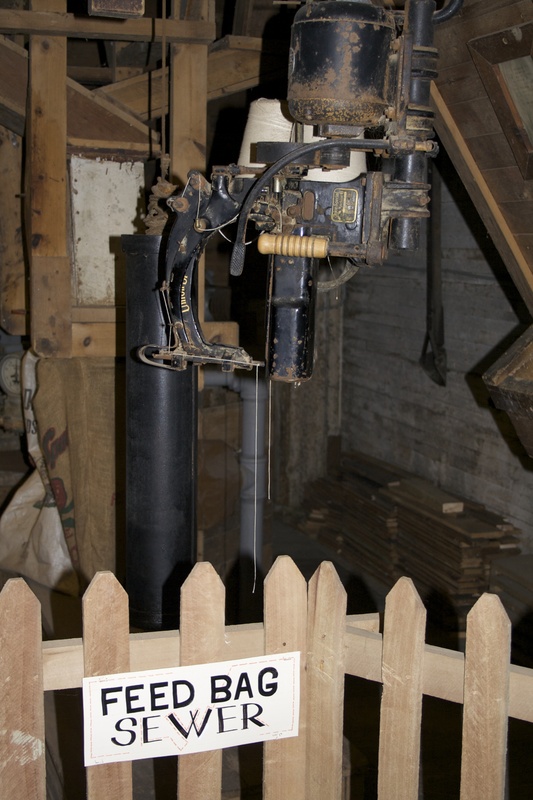 Note the large black counterweight to the left that offset the weight of the machine. Nancy tells a story about Don Larimore who worked at the Mill in the 1950s and visited recently. He sewed his finger into a bag. After a few choice words, he just cut the bag open and tried again. Don also told us about raising ten thousand peeps at the Mill on the third floor and the waste removal challenges.